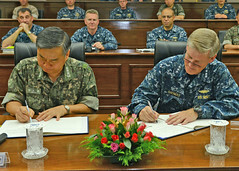 Senior leaders signed the charter Aug. 16 in Busan, Republic of Korea, pledging to increase cooperation in future ASW training. 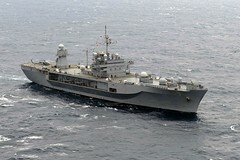 The U.S. 7th Fleet flagship now holds the honor of being the oldest ship in the U.S. Navy’s active duty fleet, next to USS Constitution, after the decommissioning of USS Denver (LPD 9) Aug. 14. 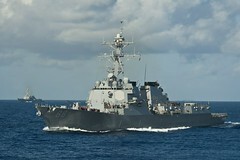 The two guided-missile destroyers, previously homeported in San Diego, are set to arrive at their new home of Joint Base Pearl Harbor-Hickam this week. 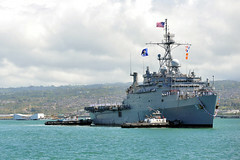 The Austin-class amphibious transport dock ship will hold its decommissioning ceremony Aug. 14 at Joint Base Pearl Harbor-Hickam. During a civic action team change-of-charge ceremony held Aug. 8 at Camp Katuu, Palau, Seabees from the 30th Naval Construction Regiment relieved airmen from Pacific Air Forces A4/7. The more than 4,500 Sailors and Marines arrived in the U.S. 7th Fleet area of operations Aug. 11, after departing San Diego July 25. 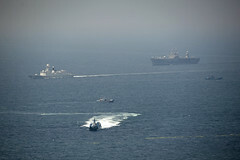 The 13th annual Southeast Asia Cooperation and Training exercise kicked off at the Republic of Singapore Navy's Multinational Operations and Exercises Center Aug. 11. 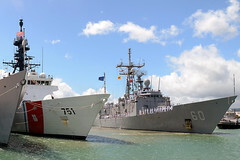 The ship, which arrived in 7th Fleet Aug. 9, will conduct operations with U.S. Coast Guard and the Western and Central Pacific Fisheries Commission in support of the Oceania Maritime Security Initiative (OMSI) in the region. The U.S. 7th Fleet flagship and guided-missile frigate CNS Yancheng (FFG 546) trained together Aug. 8 off the coast of China. 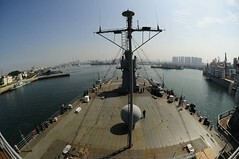 The U.S. 7th Fleet flagship departed Qingdao, China, Aug. 8. 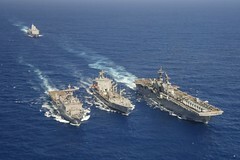 Go Navy, it’s Your Birthday!